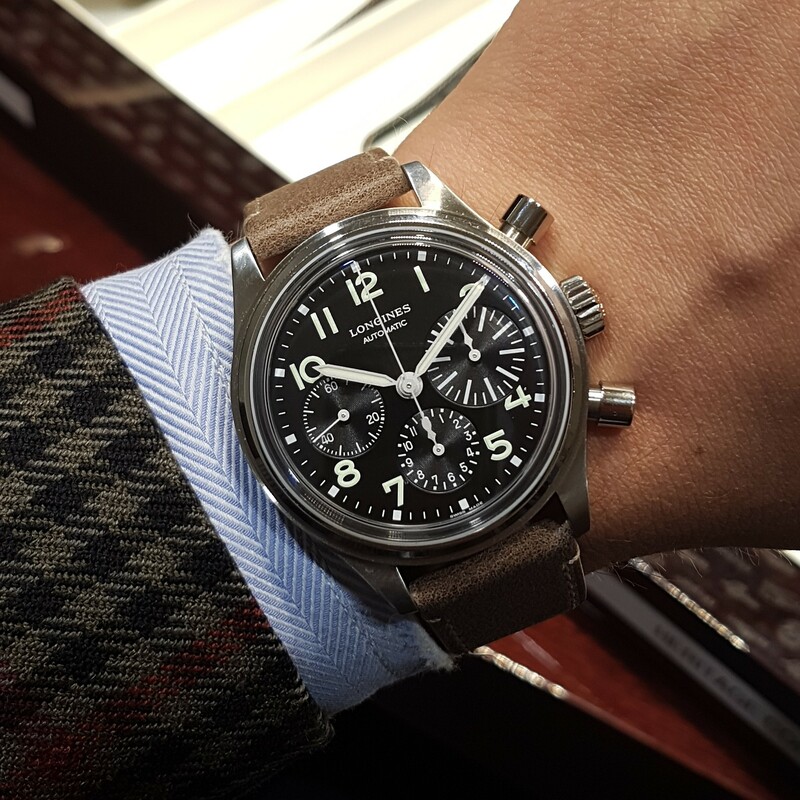 Blog posts tagged "Heritage Collection"
One my favorite BaselWorld 2017 releases is the Longines Avigation Big Eye L2.816.4.53.2 – a column-wheel operated chronograph inspired by a 1971 watch from the Longines archives. The Longines Avigation Big Eye has received very little attention yet – I think it was not shown to press but only presented to retailers during their sales meetings. But I’m positive this will change soon once it’s properly introduced, as Longines got it right with this one. Like, VERY right. The Avigation Big Eye is inspired by a 1971 military / pilot’s watch from the Longines archives. The brushed stainless steel case measures a reasonable 41mm across and features oversized pushers and a historically correct closed caseback. The black dial is instrumental, with the larger 30-minute counter adding a touch of style – again inspired by the 1971 original. Inside is ticking the L688 movement, which is a self-winding, column-wheel operated chronograph. It is listed in our database as having a date, yet this function is thankfully omitted for this watch. More info, including the price, in our database.